If you’re looking for a low carb gluten-free flour alternative, almond flour is a great, high-protein choice! But, it can be pricey, selling for $10+ a bag at most stores. 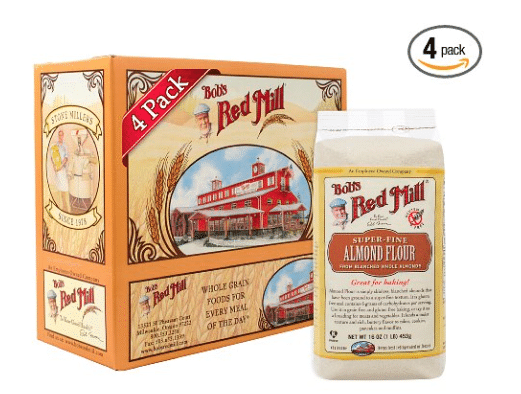 I’m excited to see this price drop on Amazon on Bob’s Red Mill super-fine almond flour! Grab 4 1 lb. bags for just $28.68, making each pound just $7.17! Single bags of this same almond flour sell for $14 on Amazon so this is a great price for blanched almond flour. Blanched almond flour is much finer and and better for baking than unbleached almond meal (made with the skins still on).